One can never have enough of these handy little zip pouches-especially when they're pretty enough to carry on their own. Durable metal zipper with leather fringe pull. 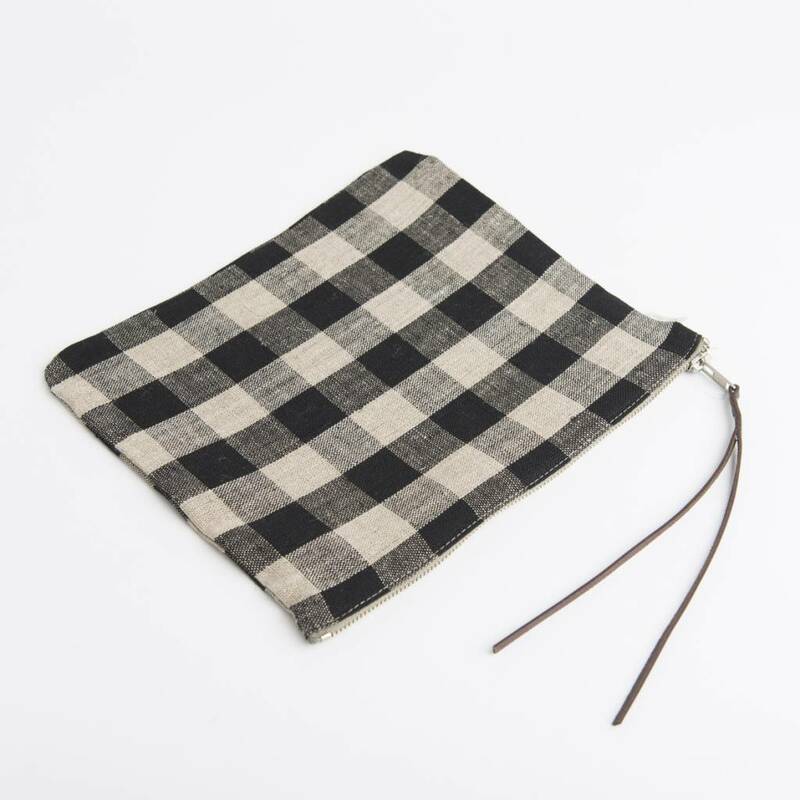 The pouch measures 26 cm x 23 cm. 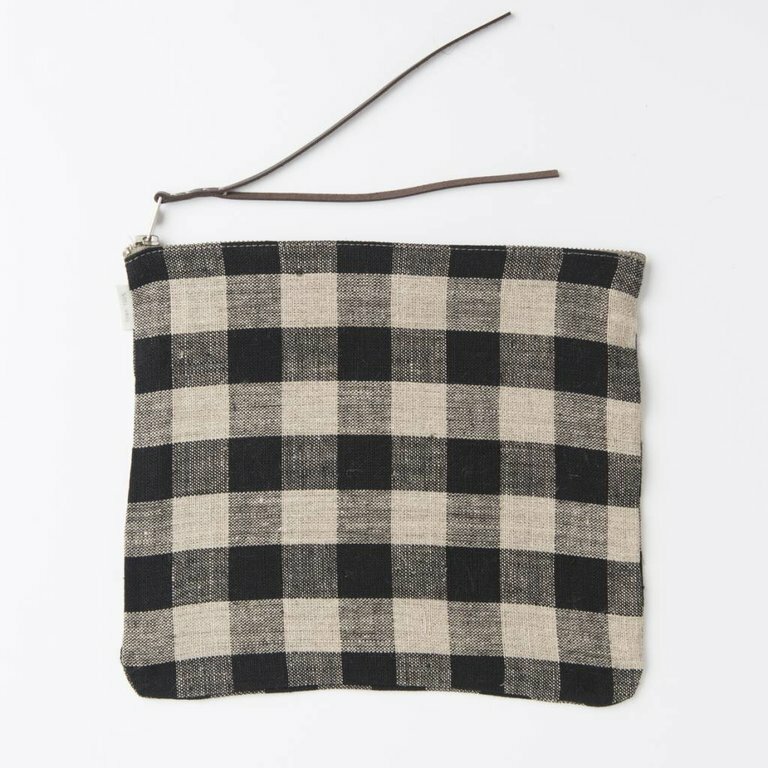 The pouch is made of 100% linen. Yumiko Sekine started her business in 1993 importing used books and houseware from Europe and America to Japan. During her search for more houseware she could not find affordable every day linens that she had used during her childhood. Yumiko produces her own linen product designs in Lithuania, a country that grows flax and has been producing linen products to other European countries since the Middle Ages. Her first collection started with only seven items. Now after ten years, Fog Linen Work produces a large line of linen products for the home and linen clothing, defining the natural life style trend today. Machine wash gentle and line dry.